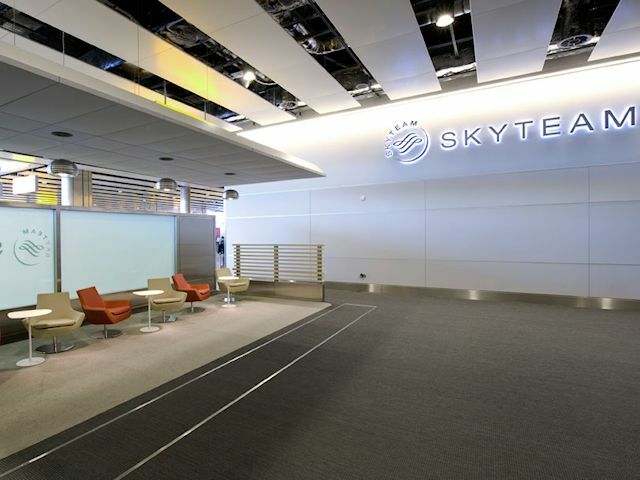 The first level of SkyTeam's first ever co-branded SkyTeam Exclusive Lounge in Terminal 4 at London Heathrow International Airport (LHR) opened on Thursday, June 4, 2009, offering SkyTeam customers a superior airport experience with luxury amenities. 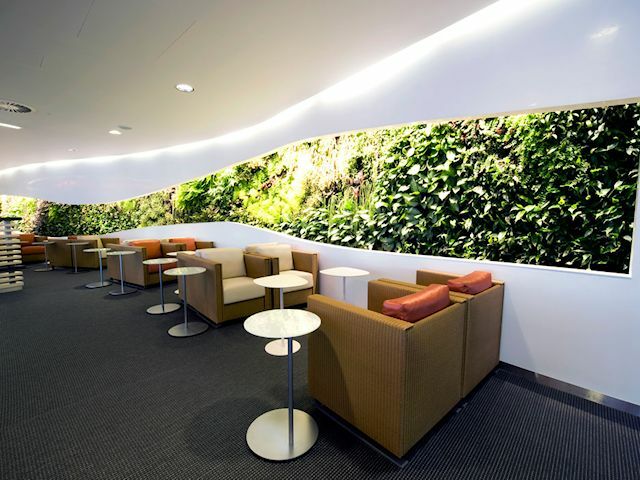 Jointly designed by the nine member and associate airlines serving Heathrow, the first level of the lounge includes a wide range of features such as an indoor living wall, wine bar, oxygen bar and full-body massage chairs. 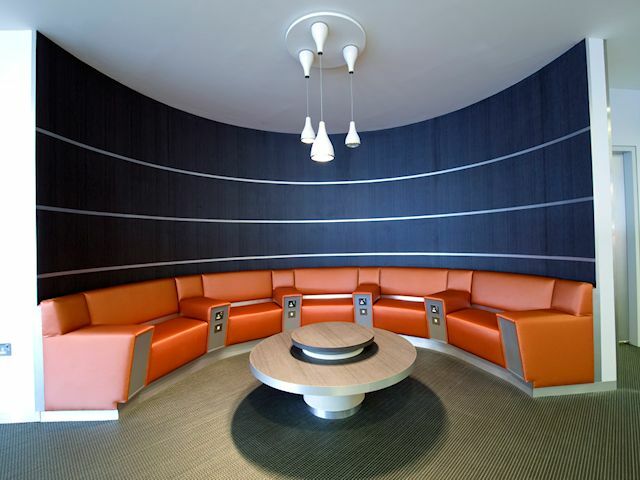 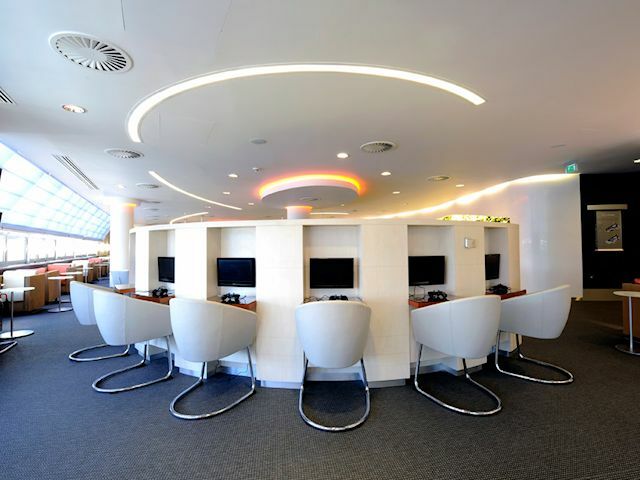 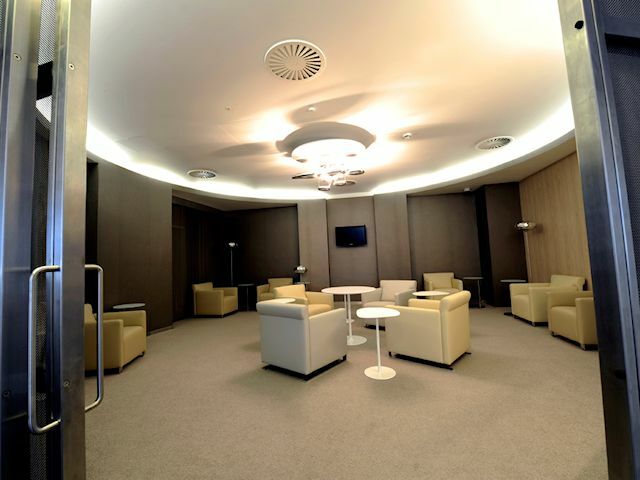 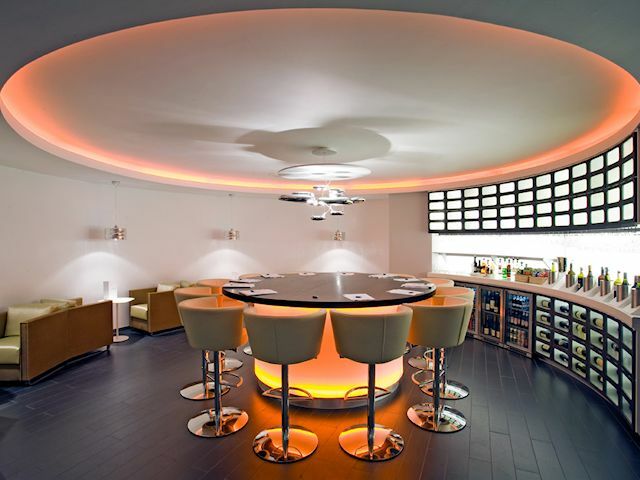 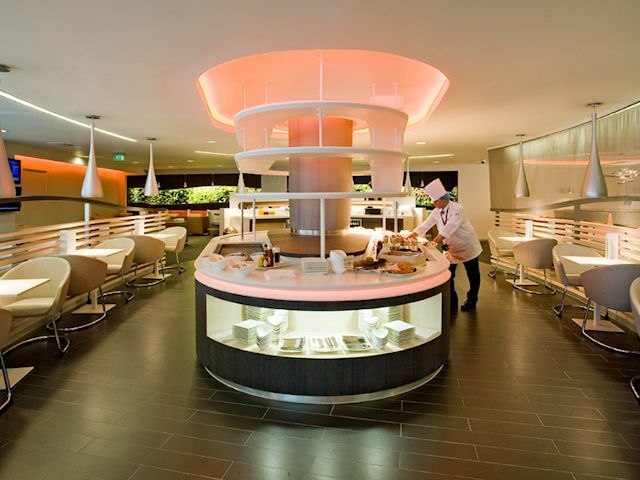 The second level of the SkyTeam co-branded lounge opens on November 9, 2009, and includes a quiet room, two VIP rooms, and a children's area, providing an enhanced experience for first and business class passengers and SkyTeam Elite Plus passengers travelling through LHR. 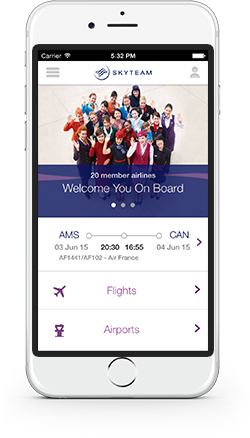 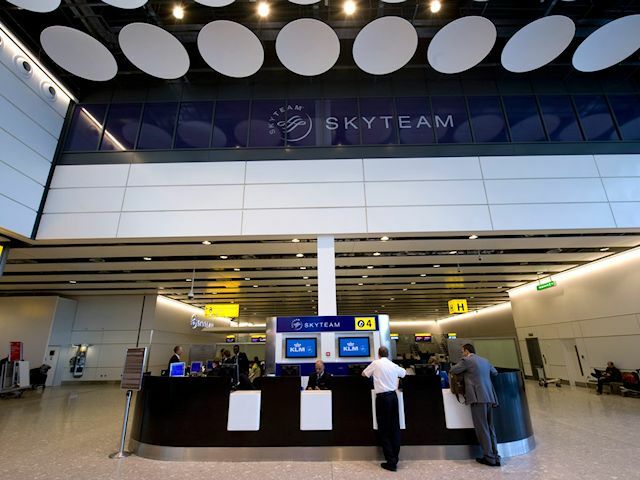 SkyTeam is the first airline alliance to unveil a permanent, common facility in one terminal at London Heathrow. 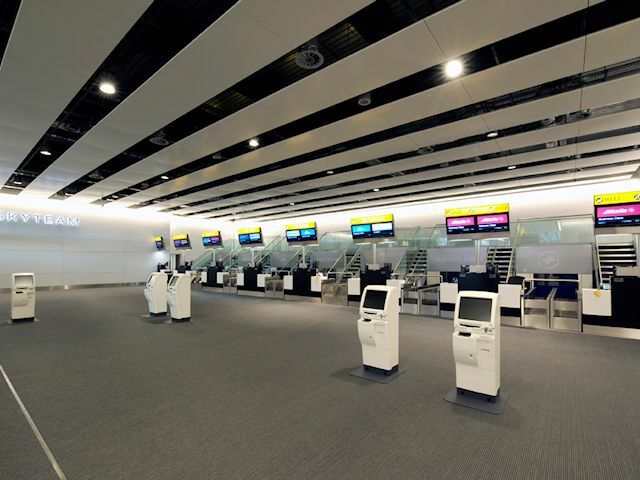 The SkyTeam LHR premium check-in area opens on November 5, 2009, offering first and business class passengers as well as SkyTeam Elite and Elite Plus passengers 14 check-in desks and 10 common-use, self-service kiosks.